I have had it with my basement. I haven’t unpacked all the tools because I don’t have a workbench yet at this house. I don’t have a workbench since I don’t know where all the tools are. The cycle seems a little silly when I have bookshelves, tote shelves, potting benches, and more in the queue to be built and yet it is all dependent on getting my basement organized. I know making a craft room for the blog would be pretty and finished off the office would be nice but none of it can happen until I can build. So, enough is enough- the basement is the priority now. Are you ready for the horror that awaits? This is one big project ahead of us. (That’s right husband, us!) We have some issues: our last house had no space so everything lived in the basement and the old owners left a bunch of stuff in the basement. For issue 1 we will need to unpack some things but as a temporary solution all the totes and seasonal items will live on some wooden shelves we’ll be building. For issue 2 the plan is to store some things in a better way (i.e. on shelves) or throw some things away. Living in the city means bulk trash pickup each month so we have a couple weeks to make some decisions. The basement has several roles to fill. Hold seasonal items– think Christmas ornaments but also the lawn mower. It also needs to keep us safe in tornado season and hold our emergency gear. 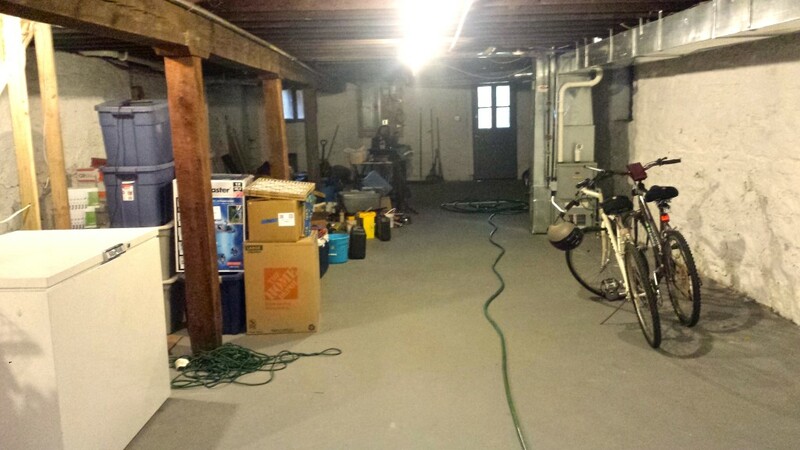 There’s several long-range plans we are going to have to do, like add more lighting and run a water line so we have a faucet in our backyard, but this is the “Clean the Basement” phase so here’s the plan. Buy rug, pair with table and chairs for tornado shelter storm seating. Add emergency kits. Once phases 4 and 5 are finished I can see us splitting our time between the basement and projects on the second floor so hopefully this list will keep me on track. 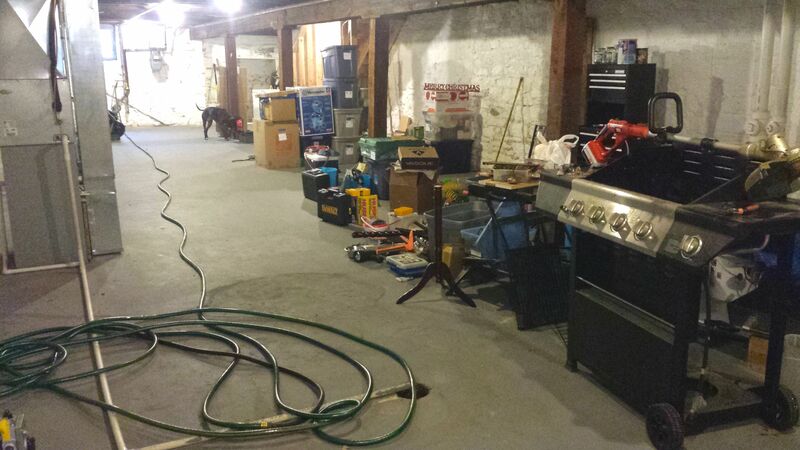 Organizing the basement might not be the most glamorous thing but it will definitely make my life easier. Jeni’s Splendid Ice Creams has finally come to St. Louis! Wednesday night I was part of a preview event thanks to an invite from Yelp. The night before the big launch we got to sample some free ice cream. My love for Jeni’s started when some friends in Ohio wouldn’t stop posting about it. Then one day at the mall I spied the cookbook and it was fate. I made salted caramel ice cream and milkiest chocolate ice cream and I was hooked. When Aaron, our lovely Yelp community manager, sent out a call for people to attend the big launch I had to jump. The store is located right in the Central West End and per Jeni is one of their biggest storefronts. It’s so clean and open and soon it will be filled with people experiencing some of the best ice cream ever. Jeni was on hand for the preview tonight and she is just as amazing in person. I was trying so hard not to fangirl too much but I got to hear some of her plans to bring St. Louis locally sourced ingredients to the ice cream. She is so warm and passionate about her food and she can just name off her chocolate supplier from memory because every product comes from a person, not just some corporate no name. Speaking of, the flavors are amazing. There’s ice cream, frozen yogurt, sorbet, and so many toppings too. You can even have a sundae or a float. The staff there were so welcoming. If they even saw you eye a flavor they’d have a sample ready to go. When I tried the mango lassi and liked it they immediately told me I had to try the lemon frozen yogurt. The flavor tasted just like when you are a kid and at an amusement park in the summer and eating that fair food but in a wholesome way. Fantastic. I picked up a lemon frozen yogurt + red raspberry sorbet for my husband. For myself, I went with a pistachio and honey + brown butter almond brittle with the salty caramel sauce. It was probably the best thing ever. St. Louis gets hot this summer and I will need a lot of Jeni’s to survive it. Thursday night from 7 – 11 PM Jeni will be hosting the grand opening. Ice cream is free for those four hours. Get down there early and enjoy! Imagine my surprise when my brother told me that we were making my mom crab legs for Mother’s Day. My brother is not always so prepared so I was taken aback. 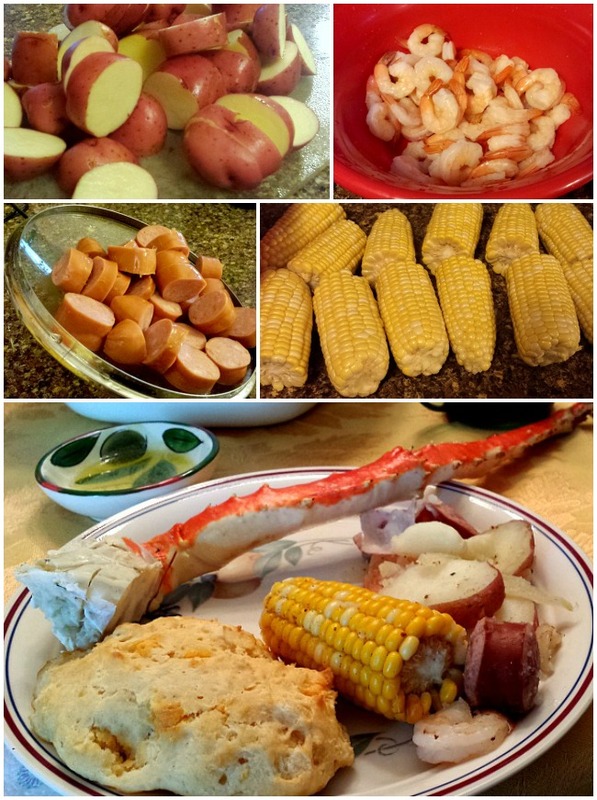 I decided to run with the theme and make a low country boil for mom. When I moved to the new neighborhood, I had no idea I lived near a martini bar. Do you know how nice it is to be able to walk home after a couple drinks? 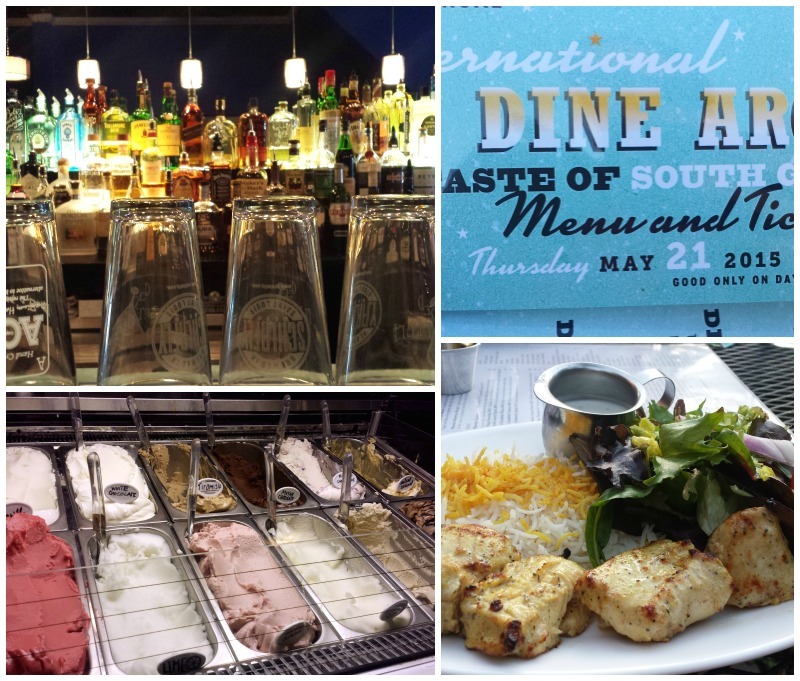 The husband and I went to the South Grand Dine Around. You get passes to enjoy an appetizer, a main course, a drink, a dessert, and another small taste from restaurants representing all sorts of nationalities. This was a month for finales. The Mad Men finale wasn’t quite what I expected but the final few episodes really wrapped up the show. I also finally watched The Wire finale. Talk about a heartbreaking show. Both shows had some of the best episodes of TV that I have ever seen. I rented a movie in person for the first time in over 10 years. Can you believe it? I was a Netflix subscriber years ago when they still sent you discs for that low rate and since then I have always waited for movies to just make their way to cable. I finally decided to try Redbox and now I’m wondering why I waited so long. I’m so disappointed I can’t make the Postmodern Jukebox show this week at The Pageant, especially after seeing this video of their cover of Bad Romance. Oh, the tap dancing! 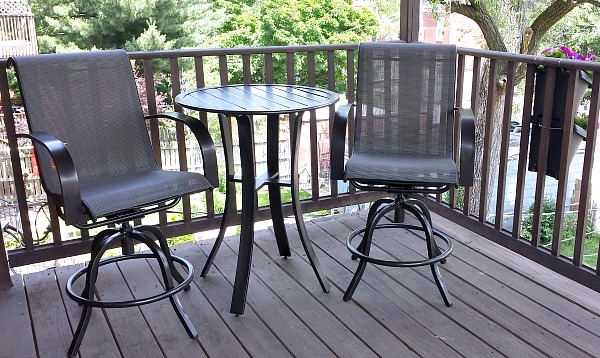 I finally got some furniture on the 2nd story balcony. It’s not much yet but at least I can go outside. My big plans involve rugs, all the flowers it can fit, and a potting bench. The third story deck is now becoming urgent. I only have a few chairs left from the last owners and no place to put all the people I’d like. The biggest reason work isn’t done? The basement! We left our workbench behind at the last house, our current basement is full of our stuff and leftovers from the old owners and it needs an intervention. 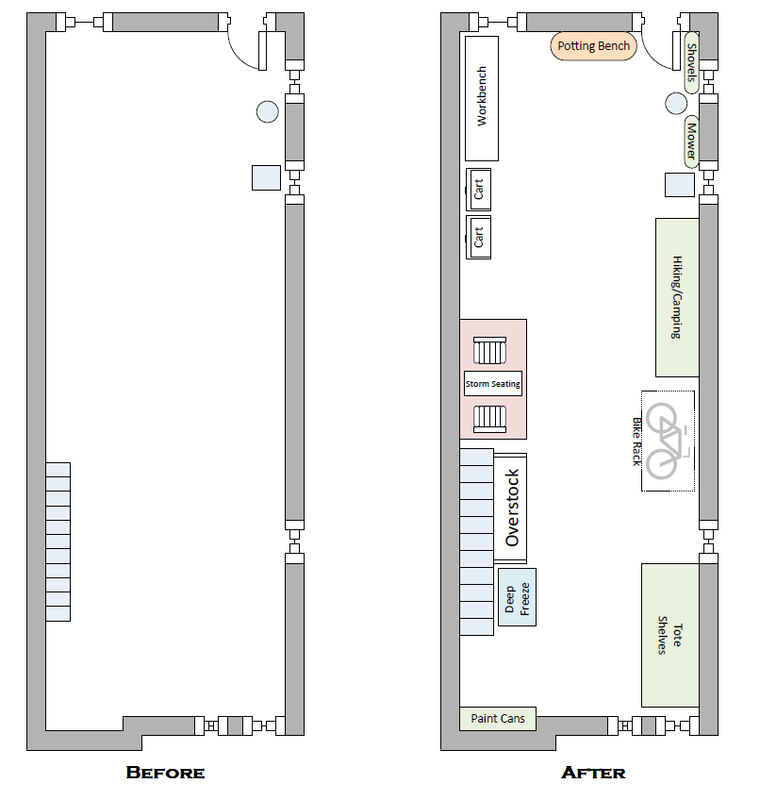 We’re drawing up plans for shelves and workbenches this week so maybe we can finally start building. Cards you might actually want to receive if you have cancer. It might sound a little morbid but take it from this cancer survivor- cancer is a lonely time and the cards out there are awkward. Every little bit helps. I normally hate the “lessons learned” posts that come with graduation season but this one may be the most accurate. My new favorite instagram account. I joined a community garden this month. I’m the youngest by about 20-30 years with the exception of my husband. Our first mission: rebuild some damaged rain barrel bases. I became a Yelp Elite member and just attended my first event. My next big event is this week and I can’t wait to share it with you. My workplace is having this healthy living program this summer. Last month’s big goal was to increase our steps. This month’s big goal is to eat more veggies. Next month’s big goal is to get more sleep. Naturally I’ve injured my feet and just had my first podiatrist appointment. The good news is that I can still keep walking but the bad news is I need to wear ugly shoes. Such is life.